Happy Monday my friends! I am ready for a new week. This weekend was just what the doctor ordered--quiet, relaxing, and I got a TON of stuff done. We have another two weekends of guests coming up, and I feel like we are in a good place for that. Let me tell ya, I have so much fun hosting our family and friends, but it makes this introvert tired. I've mentioned a couple of times that I just started working on my Master's degree--specifically an MBA in Sports, Arts, and Entertainment Management (SAEM). This is something I have wanted to do for a while, and it feels SO good to get back into the classroom and flex those learning muscles! Ever since I graduated with my Bachelor's degree, I knew that I wasn't done with school. I love to learn, and I always dreamed of adding letters to the end of my name. When we lived in Norfolk, life was just way too crazy to commit to classes, and honestly, we couldn't afford it. But when I started my job in Pittsburgh, part of the reason why I accepted was because of their awesome tuition remission program. I can take 6 credits per semester, and only need to pay the fees (about $160 for 3 credits). How could I not take advantage of that? So I applied, was accepted and registered for classes. I started in the beginning of January with just one class, Accounting for Managers. I felt really self-conscious about taking classes after a few years in the workforce. I was pretty nervous about it actually. Would it be too hard? Would I remember how to study, etc? Am I smart enough to go to school for an MBA? But you know what? I am smart enough. And I am a hard worker. Nothing ever gets accomplished by staying where you are comfortable. If you want something, go get it. Make it happen. 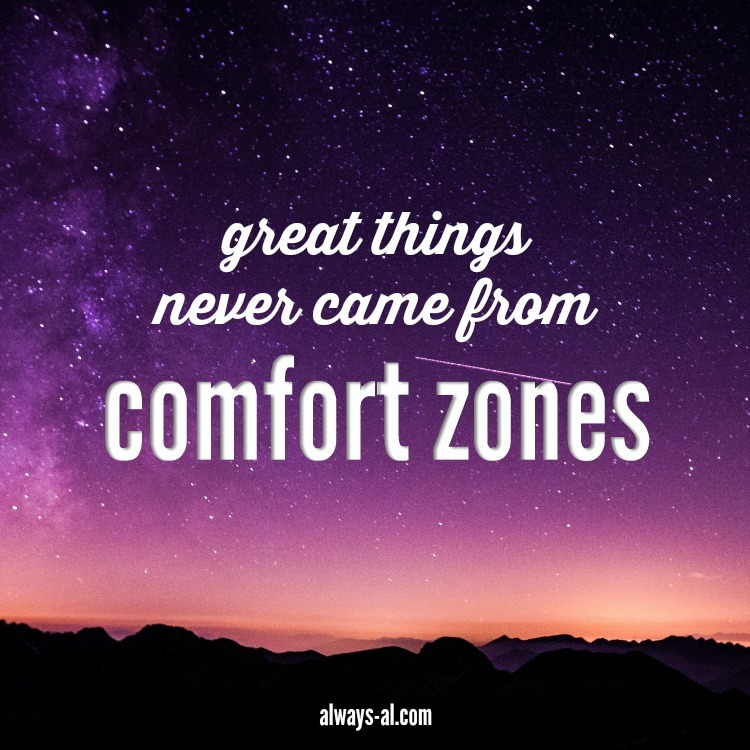 I am the first one to use an excuse to stay in my comfort zone, but I am SO glad that I took the leap and started my Master's. I am absolutely loving my class and guys...I understand the material! If this bookish introvert can do it, you certainly can. Whatever it might be that you want to accomplish, GO DO IT. I'll be right here rooting for you (after I finish my homework).